Well, I guess a quick introduction is in order. Jeff Goins is the genius behind a gem of a blog called Goins, Writer, where he primarily focuses on encouraging and challenging other writers to better their craft and to “stay awesome” in the process. This blog itself is actually partially due to Jeff’s inspiration, since I started it while participating in his 15 day Writer’s Challenge. Jeff has also put out a few e-books, including The Writer’s Manifesto, and the recently-released You Are A Writer (So Start Acting Like One). Oh, and did I mention he does all this in his “spare time” on top of his day job working with a missions organization? Trust me, it’s really worth checking out. I’m on the launch team for this book, and therefore have the privilege of reading it early. I’m only part way through, but I can already say that my whole weekend will be Wrecked, thanks to Jeff. And I am sincerely thankful. Why? Because this book is very challenging so far. If you aren’t willing to be challenged to get out of your nice little comfort zone, don’t read this book…because that is precisely what it does. I won’t say a whole lot more about it right now, though I plan on posting a full review close to the time when the book actually releases. In the meantime, please help yourself to the free chapter, and you can also check out the book’s website here Also, feel free to watch the trailer for the book. How about you? Are you reading anything good this weekend? 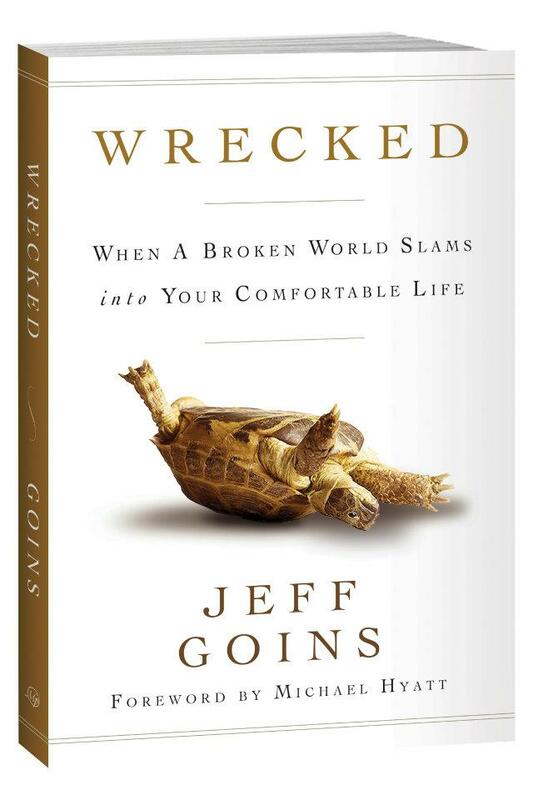 This entry was posted in Free Form Fridays, Writing and tagged Free Form Fridays, Jeff Goins, Wrecked, Writing by Susie. Bookmark the permalink. Good � I should certainly pronounce, impressed with your website. I had no trouble navigating through all tabs and related info ended up being truly simple to do to access. I recently found what I hoped for before you know it in the least. Quite unusual. Is likely to appreciate it for those who add forums or something, web site theme . a tones way for your client to communicate. Excellent task.